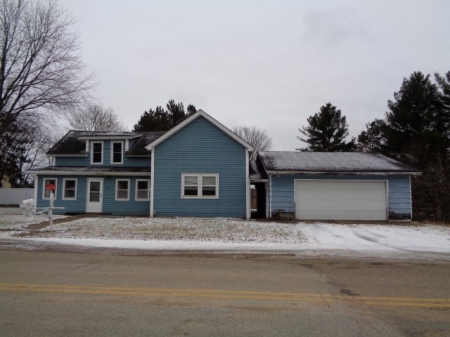 3 Bedroom, 1 Bath Downsville Home For Sale. 2 car detached garage & additional pole shed for storage. Large rooms, main floor laundry. Needs work, roof is bad, not leaking yet. foundation on SW corner needs work.